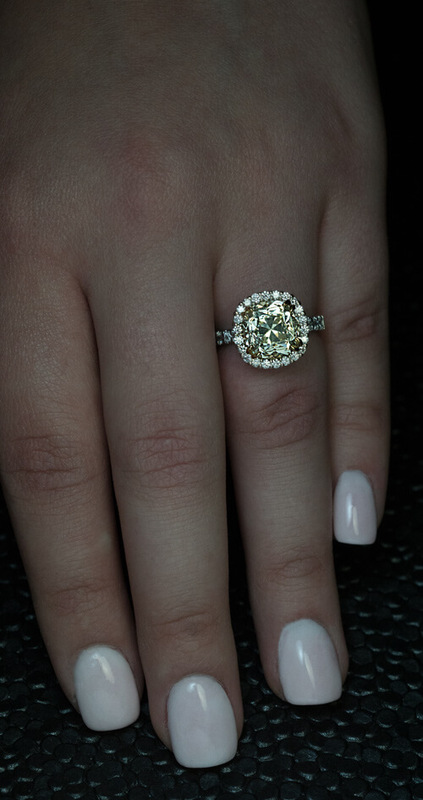 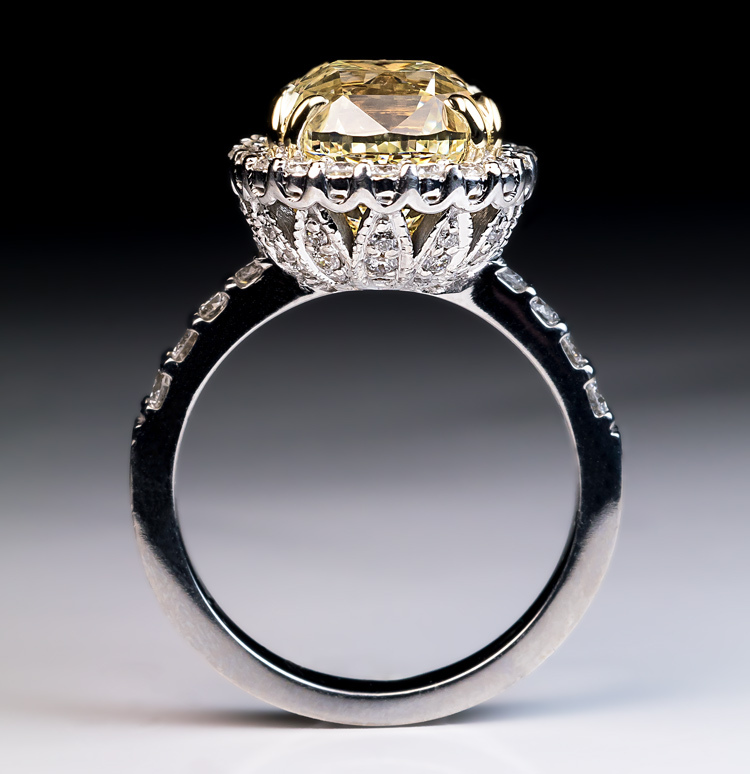 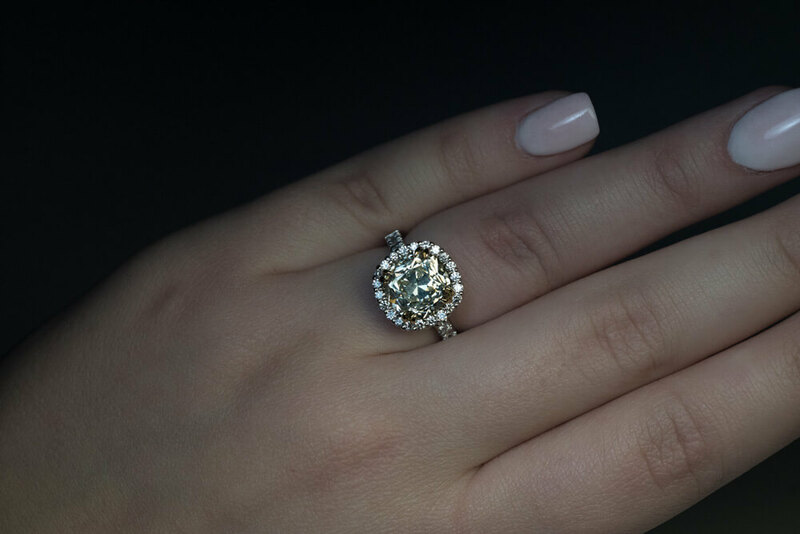 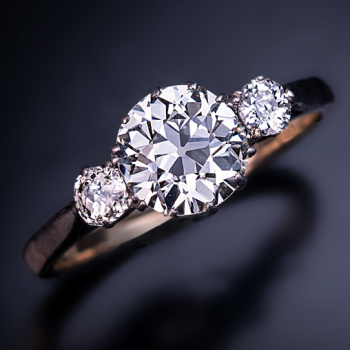 This impressive diamond engagement ring features a 5.37 ct fancy light yellow, VS2 clarity, cushion shaped, old Lisbon brilliant cut diamond from the early 1900s. 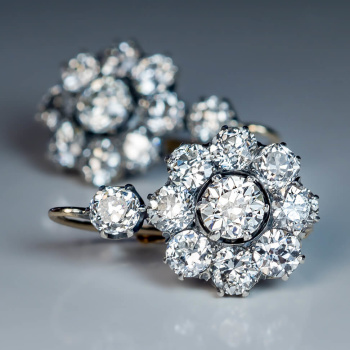 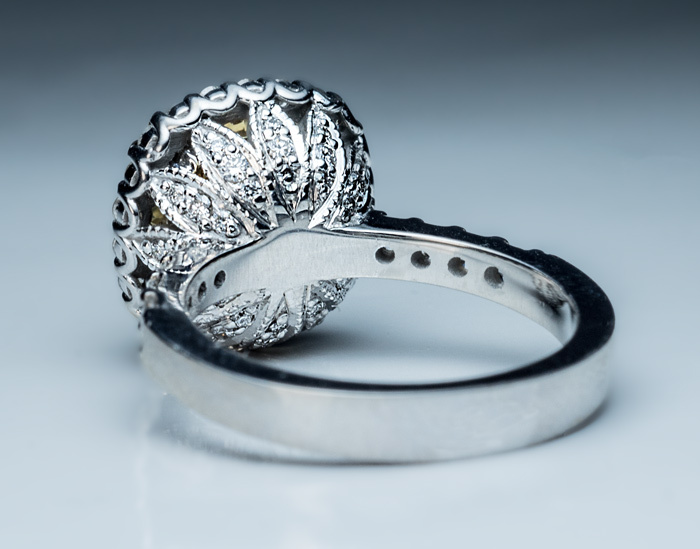 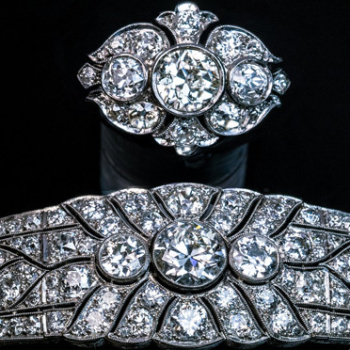 The diamond is set in a modern custom made white and yellow 18K gold lotus flower-motif setting embellished with numerous bright white modern brilliant cut diamonds. 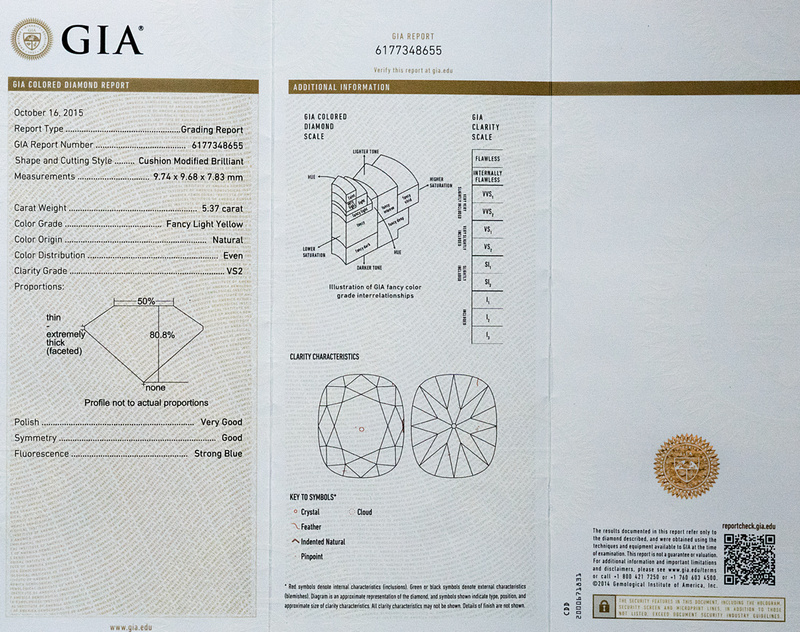 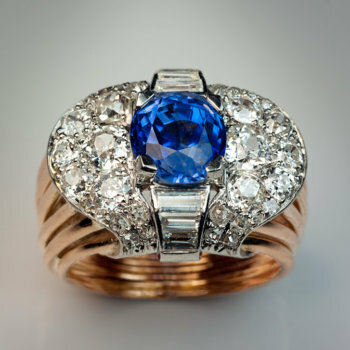 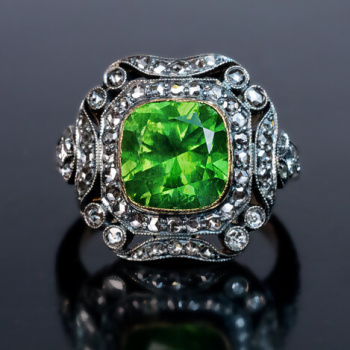 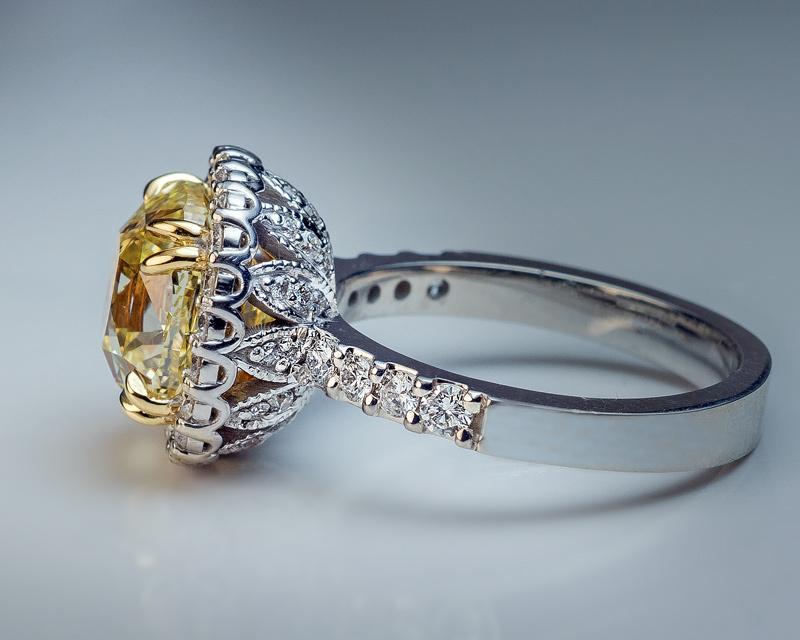 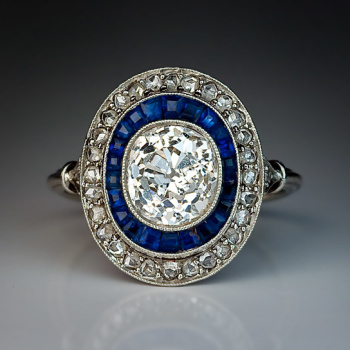 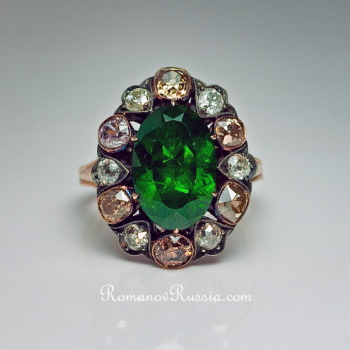 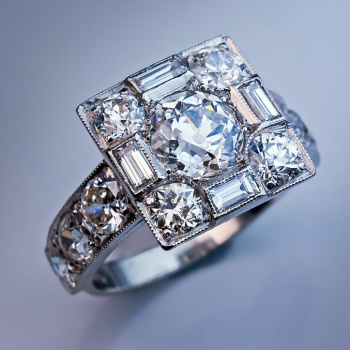 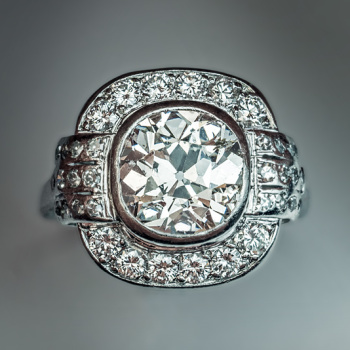 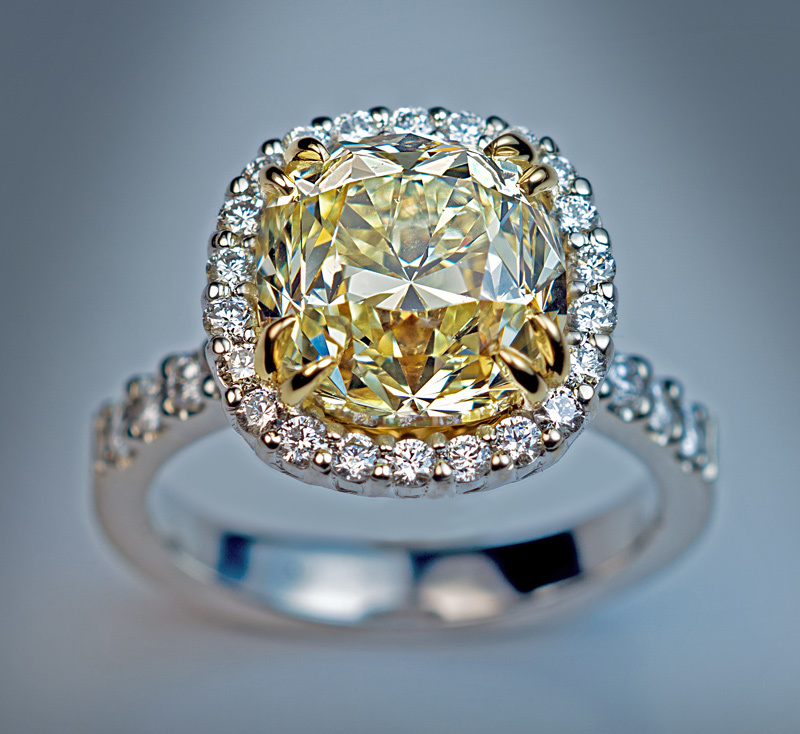 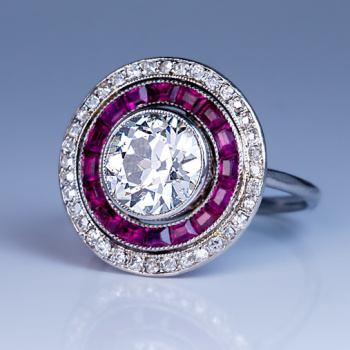 The ring is accompanied by GIA report for the colored diamond.